At Alleco Contracts, we take care of every aspect of your installation, from planning and financing, to installing and maintaining all our products. Alleco Contracts is a Fife based, NICEIC, RECC and MCS approved Electrical and Renewable Installations company that cover Scotland and the UK. Alleco Contracts provide a complete package to deliver practical solutions to reduce costs and carbon emissions. Our experience and reputation throughout the country is second to none, we supply both residential and commercial suppliers – providing them with solutions that include both installation and maintenance, making renewable energy work to their advantage. At Alleco Contracts we offer the complete package when it comes to Renewable Energy, whether it’s residential or commercial, we will take care of the entire project and even maintain your solar systems. 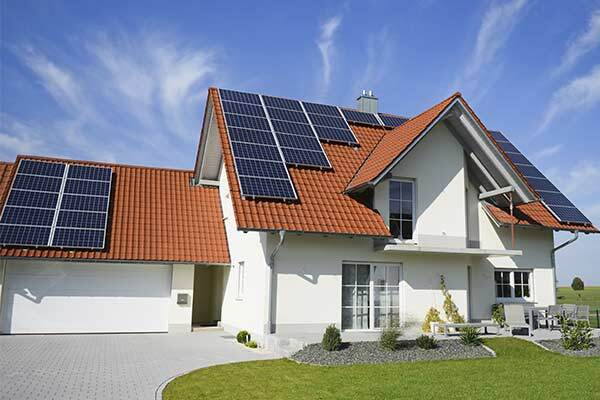 Solar Panel systems are becoming more and more popular with homeowners, this is due to the recent introduction of the government Feed in Tariff (FIT) which allows owners to claim back money against the cost of their solar system. Solar power gives your business the opportunity to maximise returns and protect itself against regular price increases. If you opt for solar power at the workplace, you can generate a second income and reduce cost from unused space. Whether you’re having any issues with your solar panels or just want a checkup we are more than happy to help. Just give us a call and we will make sure to answer any questions you have or book in your appointment. Contact us today to claim your free solar panel consultation! Alleco have been a great company to use for supplying and installing our new solar panels. Their team was very friendly and explained everything in simple terms so we could understand even the smallest details. We chose to have solar panels installed so we could save money & become more self sufficient by using natural methods and have so far been delighted with the results. On deciding to explore solar panels last year, we were providing quotes from different providers. We found that Alleco were the most suitable for what we budgeted, their recommendations and advice were second to none. Our initial assessment was very brief and helped to answer all our questions and the rep was very professional, not pushy like others. We had the panels fitted in a few weeks and are overjoyed with how they look and the benefits they will bring. My new system is working perfectly and I am extremely happy with the amount of generation we are receiving. I am more than happy to recommend Alleco to other potential customers, I’ve passed your details to one of my colleagues who has been asking a lot of questions and advised him to get the same system. Unit 3, Midfield Drive, Dunnikier Business Park, Kirkcaldy, Fife, KY1 3LW. © 2018 Alleco Contracts Ltd. All Rights Reserved.